It is not uncommon to read headlines of this nature in Sri Lankan print media, with perpetrators of a crime or their suspects being identified by race. In Sinhala, Tamil and English media alike, the race or ethnicity of an individual engaged in or suspected of criminal activity is often highlighted, even when it is not central to the news story, and despite the damaging impact it can have on community relations. ‘Sri Lankan media is hyper sensitive to anything to do with ethnicity because for three decades and more that was what dominated the coverage’ says Amantha Perera, a veteran journalist who reported on defense-related issues during the conflict. He observes that after the war came to an end, ethnicity has remained at the centre of political dialogue, which the media continues to remain swayed by. The selective manner in which ethnicity is highlighted signals existing divisions within society, informed by history and inter-communal relations. When ethnicity is specified in the instance of crime or scandal, it is usually to identify an individual of the minority community. One would find several reports therefore on “thieves”, “murderers” and “drug dealers” who are either Tamil or Muslim, which is problematic ‘especially in a post-war society likes ours that needs to bridge divides’ says independent media analyst Nalaka Gunawardena. The Code of Ethics laid out by the Sri Lanka Editors Guild notes that journalists must ‘avoid publishing details of a person’s race, caste, religion, sexual orientation, physical or mental illness or disability unless these are directly relevant to the story.’ Gunawardena questions, however, if reporters working in Sri Lanka are actually made aware of this Code and familiarised with its clauses. Infographic by Ethics Eye shows irrelevant use of identity in reporting in selected newspapers across the first half of 2018. The need for specification of any of these characteristics in a news story is best addressed on a case-by-case basis. For example, if these aspects of a person’s identity cause them to come under attack or discrimination (a hate crime), it is essential that they are reported. Currently, there is often reporting of crimes committed by minorities, with specific mention of their ethnicity, while, if an individual is from the majority, their ethnicity is not mentioned. This applies vice versa, in the case of positive reports; one does not often read about individuals from minority communities who achieve prestigious placements in institutions. ‘How does it become fair reporting then?’ asks Ranga Kalansooriya, who once served as Director General of the Government Information Department. Deepanjalie Abeywardana, Head of Media Research at Verité Research, oversees the work on Ethics Eye, a media analysis platform that draws attention to press coverage that violates ethical codes in journalism. She notes pushback to their work, where journalists argue that ethnicity is essential in reporting, and not specifying so would be irresponsible reporting. Her response is that this practice must then be adopted equally across communities. ‘If you can report that a Tamil or Muslim person committed a crime, why can’t you mention if a Sinhala person did the same?’. These violations are glaring in instances where the same story has been reported in two entirely different ways by two different newspapers. In the case of an individual arrested at the Bandaranaike International Airport for trafficking drugs, while some reports identify the person as ‘Sri Lankan’, others specify the ethnic group that the person belongs to. In some cases, it might be necessary to mention the ethnicity in order to combat misinformation and rumours that might begin to spread as a result of speculation on social media. In June 2018, the media reported on a case in Chilaw, where a young Muslim boy was murdered by his classmates. With the anti-Muslim riots in Kandy still at the forefront of people’s consciousness, many were quick to assume that the perpetrators were Sinhalese, and that this was a racially-motivated crime. Closer reading of the news report would have indicated to people that the boy attended a Muslim school, and his classmates were Muslim as well. Police spokesperson Ruwan Gunasekara confirmed this to Groundviews. Through a series of discussions in Vavuniya and Batticaloa, Groundviews was able to speak with regional reporters and news producers on their thoughts about reporting and identity. ‘We should only include details that are relevant to the story’, several said. In this case, ‘relevance’ was seen as the bearing of that particular fact or detail on the crime or achievement that was being reported. For example, clashes between communities that are racially-motivated warrant race or ethnicity being mentioned, however to include such details in the case of a personal dispute would be too harmful. Reporters feel that indication of ethnicity in crime reporting can have damaging impacts across the community as a whole, though only one individual may be at fault. A regional correspondent for Vavuniya noted that ‘people will generalise that everyone from this ethnicity or religious group are violent, and it contributes to tensions between communities’; The journalists felt that this was particularly important in areas where there are several communities living alongside each other. They also noted that it is important to recognise the audience that is being reached through the particular publication when deciding how ethnicity should be reported. ‘A journalist writing for a Sinhala-language paper must be careful how they represent the Tamil and Muslim communities’, a reporter said. Given Sri Lanka’s history of conflict and its recent past, reporters are responsible to not contribute to existing stereotypes or discrimination faced by these groups. For example, the reporters noted how the visit of United Nations Human Rights Commissioner Navi Pillay, during her tenure from 2008 to 2014, was reported in Sinhala and Tamil media. While Tamil media highlighted that the families of the disappeared were able to engage with her in discussion, Sinhala reports painted as a foreigner looking to interfere in the country’s affairs, a narrative regularly wielded by the Joint Opposition and nationalist groups to undermine human rights and truth initiatives for war-affected areas. A journalist also noted how the arrest of Gnanasara Thero was reported in Sinhala print media as being a ‘gift’ to a certain community, inadvertently demonising the Muslim community in the eyes of Sinhala readers. ‘All the work that people have been trying to do since 2009, to bring communities together and talk about reconciliation, is no use when the media does the opposite it in how it reports’, noted a journalist working in Puttalam. ‘We are responsible to tell stories that can allow communities to understand each other’, said a news producer based in Anuradhapura. They illustrated this with incidents of a Sinhala Navy officer helping a Muslim family, or a great achievement by a Tamil youth that could contribute to a positive narrative of communities that are often misrepresented in mainstream media. ‘We know how to report ethically, with relevant details and accurate headlines, however often our editors call and ask us to add information that is not necessary or make the headline more eye-catching, just to sell copies’, said a correspondent working in Batticaloa. Many of the regional reporters were quick to note that the editorial had more responsibility in the irresponsible content published than the journalists themselves did. With profit as a primary motive, journalists say that editors under pressure from media owners demand reporting that is sensational. This occasionally results in stories that are factually accurate and ethically sound being withheld, as editors and owners believe these will not sell. Abeywardana states that in the time that Ethics Eye has been operational, some newspapers have corrected the manner in which they report on these issues. 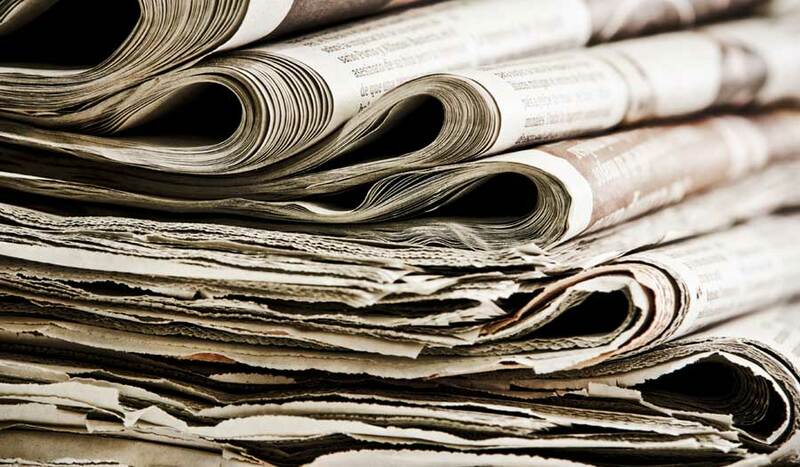 Whether the newspapers are doing so with genuine acknowledgment of their faults, or simply to avoid condemnation by monitors or citizens on social media, is not certain. However it does signal a need to hold the media – journalists and owners alike – accountable for the content they are presenting to the general public.